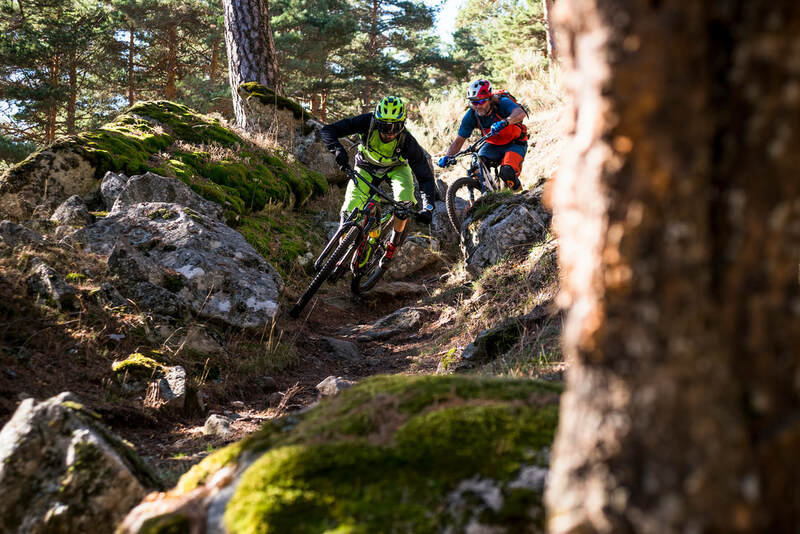 The Enduro Weeks tours, based in la Sierra de Madrid, summarize our concept of a perfect week in a mountain bike holidays: lots of singletracks, amazing food and relaxed after riding. Our main goal is to put a smile on your face: we make sure that everything is included, so you will only have to take care of riding! 5 Days of accommodation and 4 days of guided riding in the coolest mountain bike trails of the Sierra de Madrid. •4 guided days exploring the best trails of the Sierra de Madrid. •Breakfast, packed lunch and 3 course dinner included everyday. Starting Jan. 2nd until Dec. 23rd. We only close on Christmas holidays, from Dec. 23rd - Jan. 2nd. We offer Santa Cruz rental bikes as an option, in case that you need it. Click here to see the range and prices. Our Enduro week for Ladies is exactly as the regular one, but only for Ladies. As simple as that! Planning a MTB holidays with your other half in la Sierra de Madrid? Maybe with your best friend? 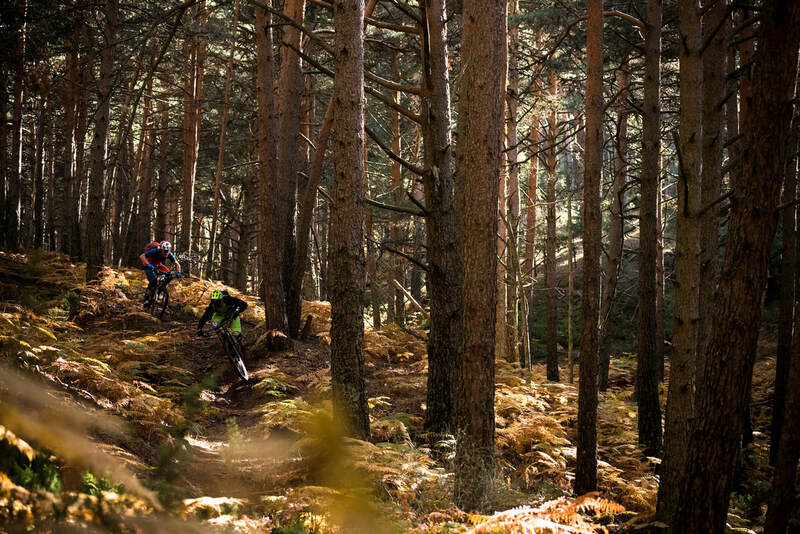 Or is it a father / son MTB experience? Then, this is the package for you. With accommodation in our exclusive Mini Chalet, a perfect reduced version of our big Chalet with suite interior, Swimming pool, BBQ and garage. Click here for all the details about the Mini Chalet. •895 EUR / person. VAT included. Note: BlackTown Trails don’t own our own accommodation and meals will be delivered through outsourced independent suppliers. If you have a different budget, or special requirement then we can find accommodation/restaurants to suit your holiday. If you would like us to find you different options, then please go to our "Adventure Builder" page. The guided riding is on 4 hrs. basis. For extended riding, please let us know or fill our "Adventure Builder"
*Prices calculated for groups of 6 riders.